﻿ DITCH THE FAD DIET! Still counting calories? Drinking a daily apple cider vinegar? Making detox soup? These dieting fads are centuries old….not kidding! Lord Byron popularized the Apple Cider and water diet in the 1820s! 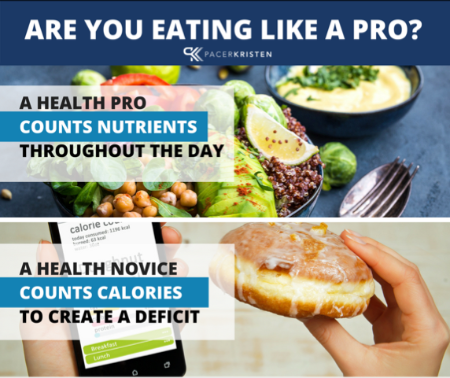 When you Eat Like a Pro, you stop counting calories and are focused on eating high quality nutrients all day, every day. The goal is to get your body and cells to work correctly by giving cells the information they require to build, repair, recover, and perform all the functions that keep you alive, happy, and operating at a high frequency. CALORIES provide energy but NUTRIENTS provide the foundation for health, happiness, and performance. Yes, it’s true — you can’t lose weight unless you feed your body less energy than it burns, but if your diet isn’t composed of whole, nutrient-dense foods, the caloric model is completely ineffective. You may lose weight (mostly muscle), but you won’t gain health! When you Eat Like A Pro, you work around at least Ten Healthy Actions. Love the idea of ditching the fads and Eating Like a Pro with a weekly meal plan? 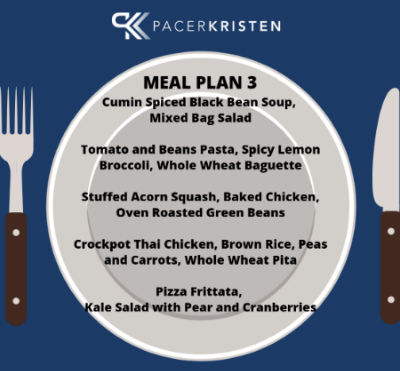 When you work with me, one of the added perks is having a weekly, plant-based family meal plan, complete with recipes and a grocery list. These meal plans help you to stay on track with a sustainable, healthy lifestyle all year long! Check out a sneak peek of one of my favorite meal plans! I hope you enjoy this freebie. As always, don’t hesitate to get in touch if you have any questions. I’d be thrilled to hear from you.